June 8, 2017 – Toronto, Ontario – Matica Enterprises Inc. (MMJ–CSE) (39N – Frankfurt) (MQPXF – OTC PINK) (“Matica” or the “Company”) is pleased to report that the Company has obtained construction permits for the Dorval, Quebec medical marijuana growing facility. 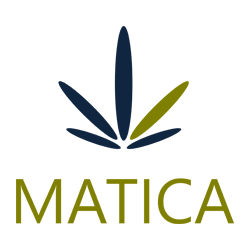 Matica has an agreement with RoyalMax Biotechnology Canada Inc. (“RoyalMax”) for Matica to become a majority owner (70%) of the late stage applicant under the Access to Cannabis for Medical Purposes Regulation (“ACMPR”). Through RoyalMax, Matica is diligently moving forward with its application to become a Licensed Producer of medical marijuana under ACMPR. With permits in place, Matica has immediately begun preparing the facility for retrofitting. The Company is currently confirming previously obtained construction quotes and will begin construction in preparation for pre-licence inspection by Health Canada.